The Chinese Calligraphy Concert 2011 was held in Vienna's Hofburg Palace on May 30. The Chinese Calligraphy Concert 2011, among the activities being held to celebrate the 40th anniversary of the establishment of diplomatic relations between China and Austria, was held in Vienna's Hofburg Palace on May 30, attracting nearly 1,000 local people from all walks of life. The concert, sponsored by the Austria-China Association for Cultural Exchanges, combined traditional Chinese music and dancing with a live performance of Chinese calligraphy conducted by Li Binquan, a member of the Chinese Calligraphers Association. 中国书法早已成为中国文化的重要组成部分，并已被收入《人类非物质文化遗产代表作名录》。而将音乐与中国书法结合为一体的“中国书法音乐会”在欧洲还属于首次亮相。 Chinese calligraphy is an important component of Chinese culture that has been enlisted into Masterpieces of the Oral and Intangible Heritage of Humanity. The concert was a rare occasion for European audiences to enjoy a mixture of music and Chinese calligraphy. Garden layout, porcelain and many other Chinese elements were included in the concert. It was divided into 16 chapters with each staging a performance featuring a famous Chinese song or a traditional Chinese musical instrument, coupled with a display of ancient costumes, a court dance or Peking opera. To the accompaniment of music, Li wrote his stylish calligraphy. Jeschko Brigitte, a member of the audience, said that the artistic combination of music and Chinese calligraphy made it easier for her to comprehend the Chinese form of arts. Richard Trappl, a professor of the University of Vienna, gave a thumbs-up sign, saying the concert was a worthwhile effort to help Europeans better understand Chinese history and culture. 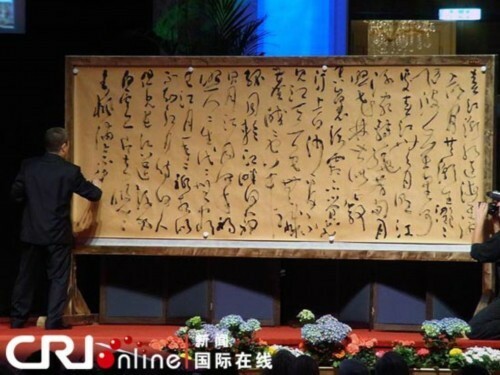 According to concert organizers, the art form of combining music with calligraphy was created by calligrapher Li with the aim to promote Chinese calligraphy. 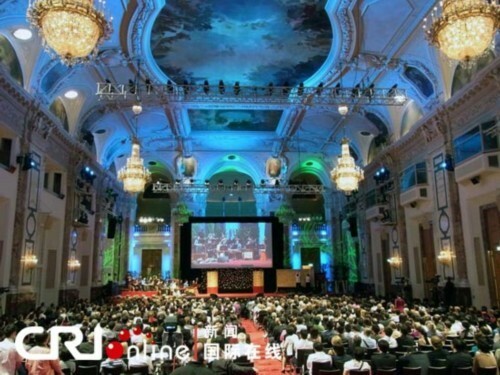 The Chinese Calligraphy Concert 2011 was held in Vienna's Hofburg Palace on May 30. 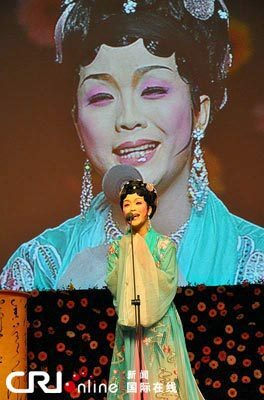 Li Yugang, a famous Chinese artist, gives a Peking Opera performance.